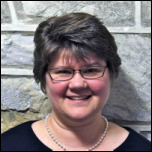 Shawn serves First United Methodist Church of Hershey as Director of Music Ministry. He has been ringing handbells since 1987 and directing since 1991. 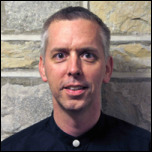 In addition to his church work, Shawn also is adjunct instructor of organ at Messiah College in Grantham. 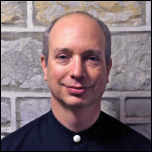 He holds bachelor’s degrees in Music Education and Sacred Music from Lebanon Valley College, a master’s degree in Sacred Music from Westminster Choir College, and the doctorate in worship studies from the Robert E. Webber Institute for Worship Studies. Shawn and his wife, Laura, have four children, Peter, Sarah, Christian and Aaron and they reside in Elizabethtown with their Weimaraner Jasmine. John started ringing handbells in 2001 as a charter member of the Jubilation Bronze Handbell Choir at the Tree of Life Lutheran Church in Harrisburg. An active church musician, John equally enjoys singing, ringing, and playing percussion and also served for a time as the handbell director of his church's choirs. He's a graduate with a degree in Computer Science from the Pennsylvania State University and lives and works in the Harrisburg area. 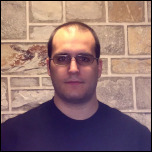 He enjoys spending time at home with his wife Barbara and visiting their son, Benjamin, a 2016 graduate from the Pennsylvania State University at University Park with a degree in Electrical Engineering who lives and works in Maryland. Holly has been ringing handbells since 1995 and rings in several choirs, an ensemble, and a duet, and has participated in numerous handbell festivals and workshops. She is a member of Grace United Methodist Church in Hummelstown where she directs multiple handbell choirs. 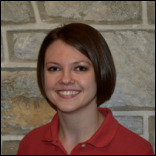 Holly is a certified Project Management Professional (PMP) working for The Hershey Company and lives in Hummelstown with her husband Tim and their five children Coleman, Nicolas, Kira, Megan and Emily (and two cats!). Holly and her family enjoy skiing/snowboarding, camping, various sports and other recreational activities. Ruth has been ringing handbells since 1967. She is an attorney for the Commonwealth’s Office of General Counsel, serving as a hearing examiner for the Department of State. 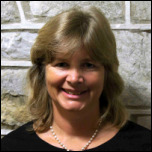 Additionally, she is a founding co-director of A-Pealing Praise, the handbell choir at Penbrook United Church of Christ. Ruth also plays the trumpet and recorder. She lives in Penbrook with her husband, David, and their three cats, who may be recruited as substitutes in a pinch. 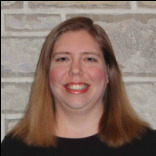 Kim has been ringing handbell solos, and has been a member of ensembles or choirs since 1999. She is a member of St. Paul’s United Methodist Church in Elizabethtown, where she rings and sings in the choir. She works as a Therapist at Pennsylvania Psychiatric Institute in the Child/Adolescent Partial Hospitalization Program. She and her husband, Dave, live in Elizabethtown with their cat, Nova. In what free time she has, Kim enjoys gardening and knitting. Kim is on hiatus during the spring 2019 season. Nate started playing handbells at his childhood church when he was about 8 years old. He currently works at Covenant Christian Academy in Harrisburg where he is the fourth grade teacher. 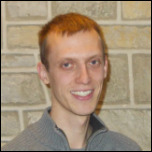 Nate is also an oboist for the Hershey Symphony Orchestra and a clarinetist for the Greater Harrisburg Concert Band. In addition to performing, he also teaches clarinet and saxophone lessons. Nate holds bachelor's degrees in music education and music performance from Lebanon Valley College. Laine is the director for the Bureau of Planning and Research of the PA Department of Transportation. Laine began ringing handbells in 1982 and has served as a church handbell choir director. Laine has also rung with several church handbell choirs in the York area. Laine and his wife, Laura, reside in York with their cats Orlando and Molly. Dawn has been ringing handbells since 1993 at First United Methodist in Lancaster. She previously started and directed a handbell choir at St. Matthew Lutheran Church in Lancaster. Her passion for music started early in childhood with taking piano and guitar lessons. After graduating High School, she pursued a career as a Piano Tuner / Technician and graduated from Perkins School of Piano Tuning and Technology. She has been a certified and registered Technician since 1979 and is involved with The Piano Technician Guild, where she is a chairperson and teaches at several conventions. Besides music, she enjoys traveling. Dawn lives in Lancaster. Liz has been ringing handbells since 1983 when she started at her home church in Baltimore, MD. She has been hooked ever since. While handbells are a passion, she supports herself working as a librarian at Messiah College. She lives in Littlestown, PA with several rescued basset hounds (obviously another passion!). When not working, ringing, or rescuing bassets, Liz fills her time gardening and scrapbooking. Lois began ringing in her church bell choir in her hometown of Upland, California in 1987. She returned to ringing when her family moved to Pennsylvania in 2004. 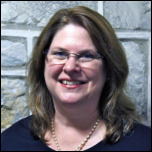 Lois is a database administrator for the federal government; she enjoys gourmet cooking and doing jigsaw puzzles. Lois lives in Mechanicsburg with her husband, Michael, their sons, Luke and Derek, and their three dogs. Isaac has been ringing handbells since junior high in 1999. He also rings at Penbrook United Church of Christ, and has been spotted playing the cello and saxophone, though not at the same time. An Allegheny College graduate with a mathematics degree, Isaac currently works at the Pennsylvania Department of Human Services. He lives in Penbrook. Janice started ringing handbells in 1994, and is also a member of the handbell choir at First United Methodist Church of Hershey. Having previously worked as a reference librarian in academic and medical libraries, she has spent the last several years as a stay-at-home mom and volunteer. Their two sons are both seniors (one in college, one in high school), and both rugby players. In her spare time you will probably find her reading, doing a crossword puzzle, or watching a BBC mystery.